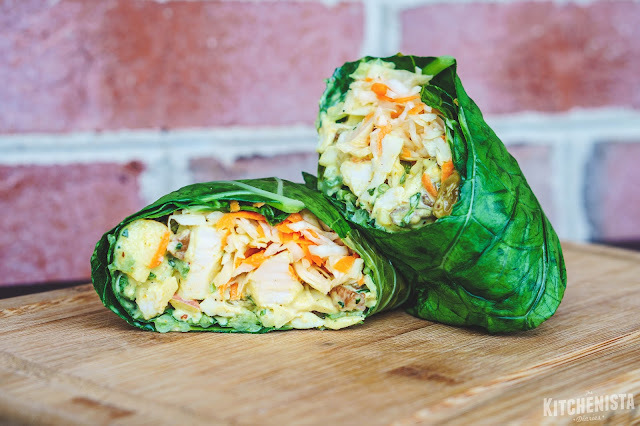 Curry Chicken Salad Collard Green Wraps. Certainly a mouthful, in more ways than one. 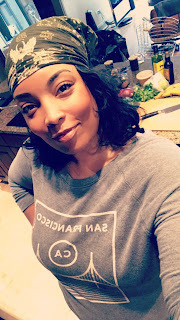 I'm a week into my fourth cycle of the Whole30 program and so far, so good. The first few days were pretty rough. But that's to be expected when your body withdraws from sugar, dairy and gluten among other things (like PMS...hello, great planning!) By the time the weekend hit, I was feeling slightly less stabby but still in need of a pick me up. 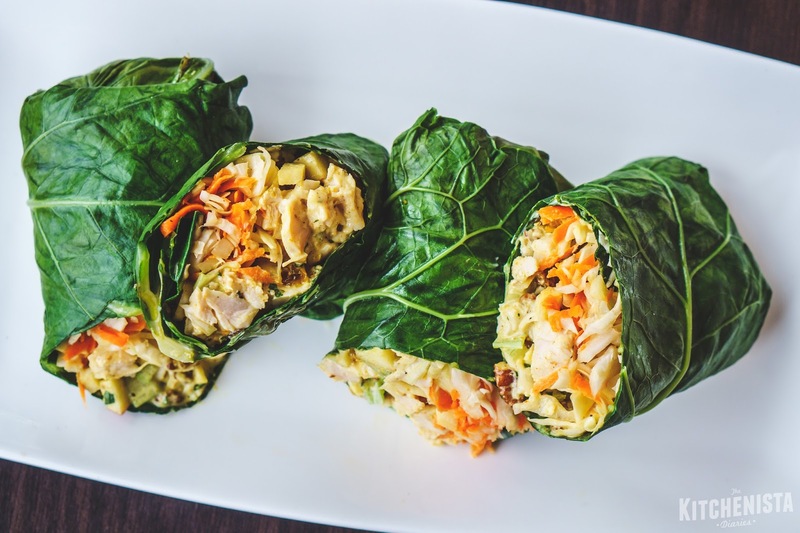 I "rewarded" myself with these fun collard green wraps, not that there's anything to feel guilty about here! The prep work starts off with having some of the blanched collard green leaves ready to go, so if you haven't read my previous post you'll want to check out those instructions first. I like to prep a stack of leaves so I have enough to last me through several days of lunches. If you're on Whole30, you probably already know that the mayo needs to be homemade. I've got you covered on that too. (Seriously, it takes 5 minutes and most of that is gathering ingredients.) I had some prepared cabbage slaw on hand already which I thought to add to the wraps at the last minute. It added a nice textural crunch to the tender chicken salad and collard greens. Lettuce would make a fine alternative to the slaw if you didn't want to make anything else. But I will say this: Whole30 is all about the prep. Since it's pretty hard to eat out or buy prepared food at the grocery store, you are making a commitment to cook the majority of your meals. To combat that, make the most of your time whenever possible. 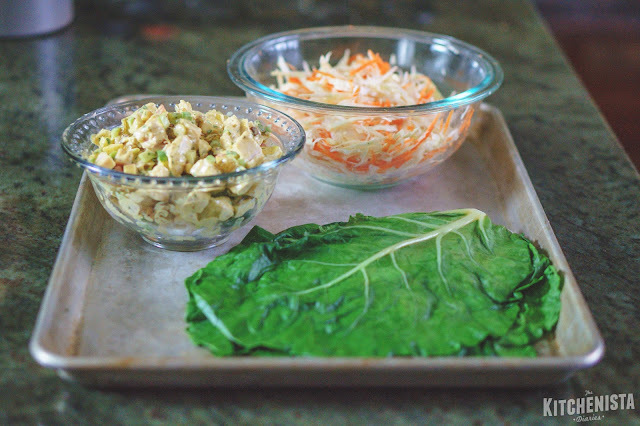 You might spend an hour and some change all together preparing the collard green wraps, mayo, chicken salad and slaw if done on the same day. But all of that can stretch for a few meals, so try to think about your workload in terms of time saved. There's nothing better than returning to the fridge the next day and remembering you already have a decent meal prepared. My moments of frustration during Whole30 happen when I don't plan ahead of time. But these wraps?! These wraps were a win and more than saved my weekend. There's plenty going on in the chicken salad to keep it interesting, so whether or not you're on Whole30 it's a keeper. Juicy chunks of chicken breast, celery, apples, scallions, pecans and golden raisins all came to the party. The dressing is a creamy mixture of homemade aioli, Jamaican curry powder, thyme, cilantro, ginger, citrus juice and scotch bonnet pepper sauce for heat. These are some of my favorite combinations in the world and I couldn't wait for the first bite. I usually would tell you to chill this and let the flavors meld, but who am I kidding? I ate it immediately, and got the chilled version the next day (which was, for the record, even better.) I had so much fun making these that I decided to go ahead and hit the record button to make a new video tutorial! So that's below, along with the ingredients and a quick note on how to make that slaw. Enjoy, and for those of you bracing life without sugar these days...happy Whole30! *Note: Homemade mayo is perishable, so consume leftovers within 3 days and always keep refrigerated. 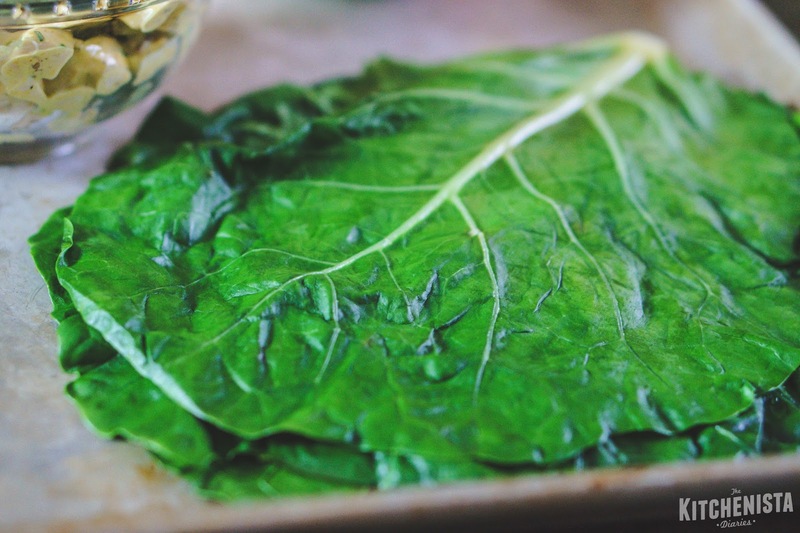 If you haven't already done so, check out my original post on making collard green wraps. You'll need 4 decent sized leaves; they'll be overlapped in pairs to give you more room for the filling. Of course, if you're not avoiding gluten or carbs, this chicken salad would be lovely on sandwich bread or in a traditional tortilla style wrap. 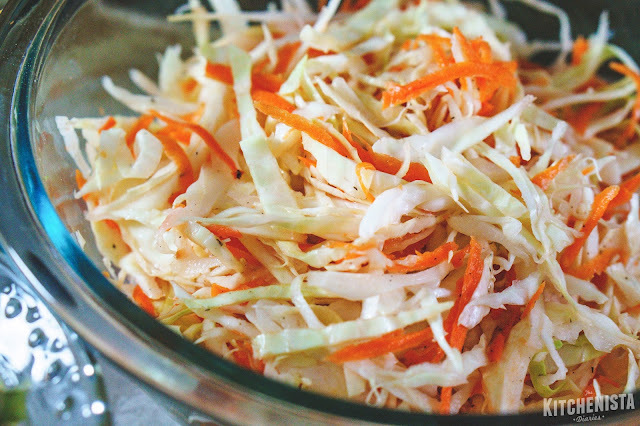 If you're adding the slaw (and I think you should!) just toss the cabbage, carrot, lime juice and lemon juice together in a small bowl, seasoning to taste with a liberal pinch of salt and pepper. Let that sit while you make the chicken salad. The acidity and salt will begin to pickle the cabbage which adds to its flavor. When you prepare the chicken salad, it's best to mix the dressing ingredients first so you can easily make adjustments to the seasoning before adding the other components. 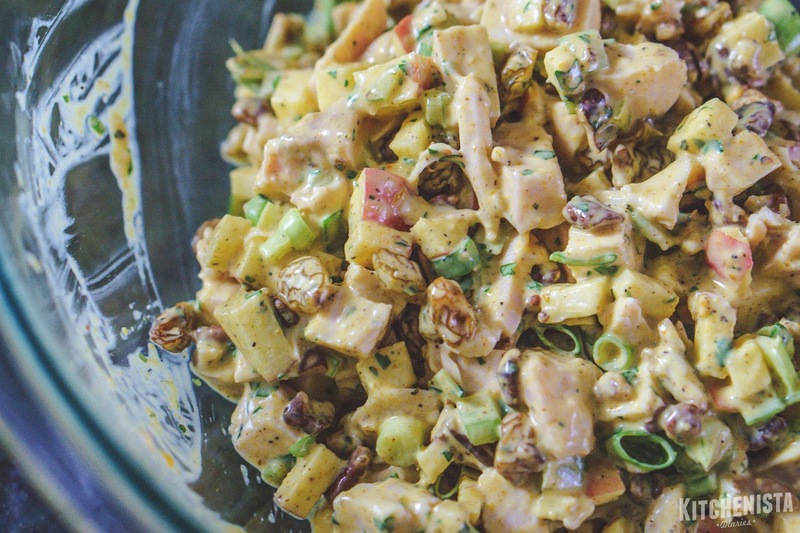 If you have time let the finished chicken salad chill for 30 minutes before eating it. But it's fine to devour right away, and I wouldn't blame you! Finally, here's the new video! Not a nutritionist, not to mention the extra work involved to do this. 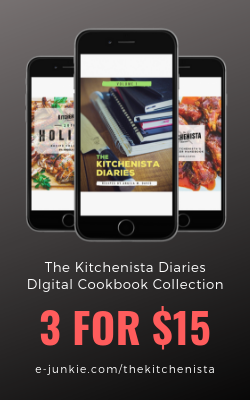 If you'd like to volunteer to calculate that info for my recipes feel free to reach out.